The Asus NovaGo is one of the first notebooks to be powered by the Qualcomm Snapdragon 835 SoC. Initial impressions of the notebook seem to be positive but performance numbers seem to be behind even low-end x86 CPUs. Qualcomm's recent Snapdragon Tech Summit in Hawaii saw the introduction of two ARM-powered Windows 10 laptops viz. the Asus NovaGo and the HP Envy x2. Much to the delight of all, the notebooks were equipped with always-on LTE connectivity, instant on, and a much needed battery life boost north of 20 hours. Ultrabookreview did some hands-on testing with an early version of the Asus NovaGo TP370QL and came away fairly impressed. Before getting into some of the early performance scores, lets have a look at how the notebook looks and feels. 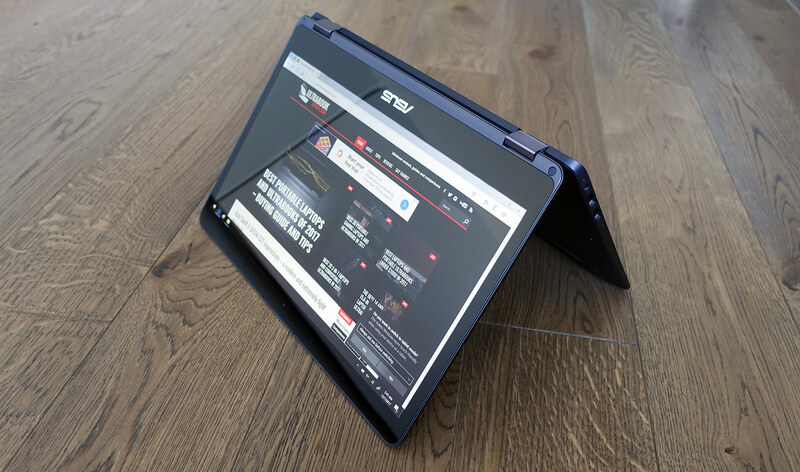 For the most part, the NovaGo is a convertible that inherits the look and feel of the Asus VivoBook Flip series. The Sky Grey colored notebook has pretty good construction but the lid suffers from noticeable flex. At about 1.3 kg and 0.6-inch thickness, the NovaGo is fairly light weight. There are no USB-C ports (a glaring omission) but you get 2 USB-A ports, HDMI-out, headphone jack, and a microSD+nanoSIM slot. Keyboard layout is pretty standard but lacks backlighting. The trackpad comes with Precision drivers enabling gesture based navigation in Windows a breeze. The screen is a standard 13.3-inch FHD display that can reproduce 100% of sRGB color gamut but the glass covering adds a lot of glare, which makes it a tad inconvenient to use in bright sunlight. 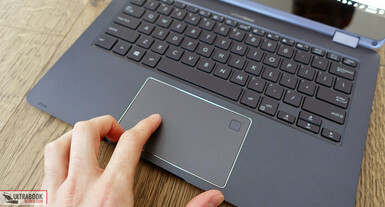 The USP of the Snapdragon-powered notebooks is the ability to run full Windows 10 on ARM without the restrictions that Windows RT posed back in the heyday. 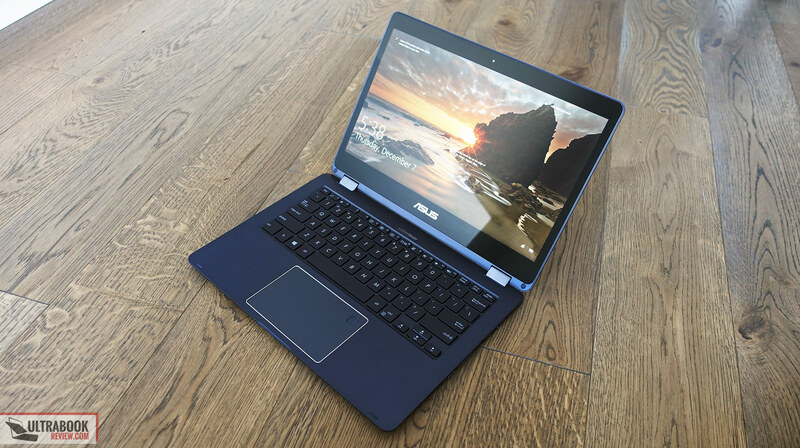 Asus includes a copy of Windows 10 S with the NovaGo and while it is good enough for web use and for apps from the Microsoft Store, it can be limiting when it comes to installing conventional Windows x86 programs. Thankfully, you can upgrade Windows 10 S to Windows 10 Pro for free but that's not without its caveats. x86 bloating aside, not all programs are optimized to efficiently run on the ARM architecture. Although Microsoft includes an x86 emulation layer, many programs need fine tuning to work efficiently with it. However, PCWorld reports that once the emulation layer has interpreted an x86 binary, it is cached to help improve subsequent performance. Therefore, many existing benchmarks will tend to post low or less than ideal scores. As we go on, we will see things improve on the software side so there's no immediate reason to worry. The scores below reflect some of the performance metrics one can expect before the notebook heads to production. They are nothing to write home about but should indicate enough performance for every day use. The Geekbench 4 scores are lower than even most Android phones featuring the same Snapdragon 835 SoC. Again, this could be due to the pre-production sample or due to the benchmarks not being optimized for the x86 emulation on the ARM platform. We are a bit wary about the Cinebench R11.5 scores, though. For comparison, an Intel Core i7-8550U has an average score of 1.8 in single-core and 6.1 in multi-core. We assume that the actual scores could have been 1.15 for single-core and 3.22 for multi-core in case of the SD835 but we will wait for Ultrabookreviews' clarification on that. PCWorld, however, reports that they could not install Cinebench on the NovaGo (the version was not indicated). 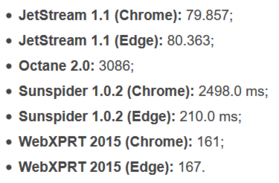 Microsoft Edge seems to a preferred browser for the Snapdragon-powered laptops as evident by the browser tests. Chrome has always been a bit taxing even on moderately powerful PCs so its lower scores are not surprising. The notebook, being passively cooled, is fully silent and devoid of any electronic noise. The temperatures seem to hover around a comfortable 33 degrees in the middle even under load. 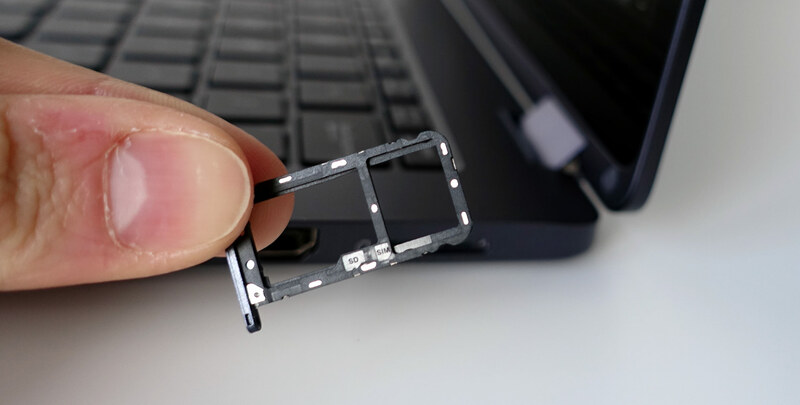 Always-on LTE connectivity and long battery life are some advantages of utilizing ARM CPUs in laptops. The NovaGo comes with the Snapdragon X16 modem, that enables LTE connectivity on-the-go and the speeds don't disappoint. Theoretical transfer speeds of up to 1 Gbps are possible but that depends a lot on the physical mobile network. 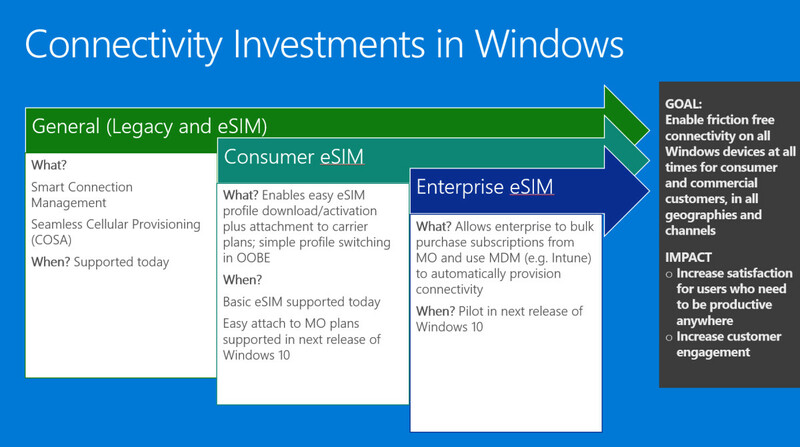 One point worth mentioning here is that the ability to easily switch eSIMs on-the-fly wont be coming until the next Windows 10 feature update, Redstone 4, is released in Spring 2018. So, for now, users will still need their carrier's support for eSIM configuration. WiFi and Bluetooth come as standard fares but Ultrabookreview notes that the WiFi speeds were affected in the 5 GHz band after 30 feet with a wall in between. The 52 Wh battery is said to offer 22 hours of battery life and 30 days of standby time, which is way higher than any notebook can currently provide. HWinfo and battery discharge measurement apps could not be run in the sample but the availability of increased battery life is a resounding yes. PCWorld reports that the boot times averaged around 30 seconds but resumes were near instant. Qualcomm seemed to defend that an always-on PC does not need to be rebooted often. So, those were some of the first scores to come out of the an early pre-production model of the Asus NovaGo notebook. We expect the scores to increase when more PC apps continue to get optimized for the ARM architecture. 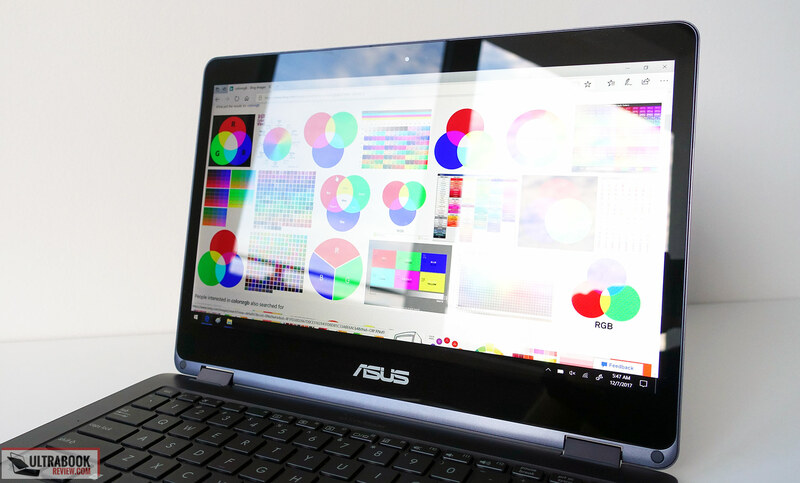 We are in the process of doing an in-depth evaluation of some of the scores posted by the Asus NovaGo and comparing them with similar metrics in our extensive database, so stay tuned for that article. Overall, if you value unhindered mobile connectivity with great battery life, the Asus NovaGo and other Snapdragon-powered notebooks should be high on your list.